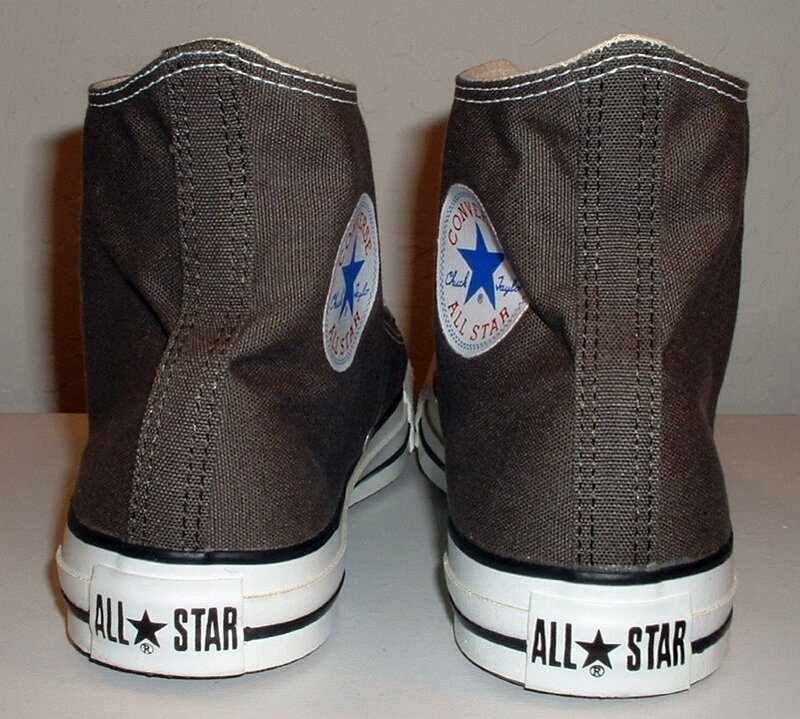 Photo gallery of core charcoal grey high top chucks. 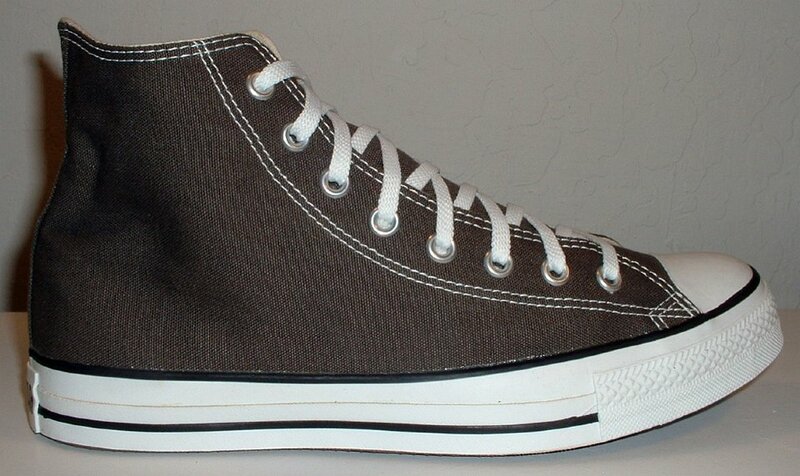 1 Core Charcoal Grey High Top Chucks Inside patch view of a right charcoal grey high top. 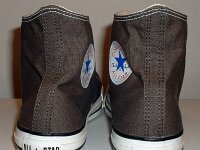 2 Core Charcoal Grey High Top Chucks Inside patch view of a left charcoal grey high top. 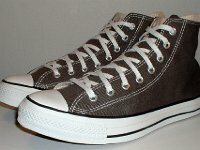 3 Core Charcoal Grey High Top Chucks Outside view of a right charcoal grey high top. 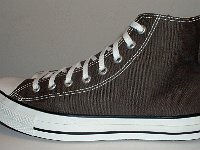 4 Core Charcoal Grey High Top Chucks Outside view of a left charcoal grey high top. 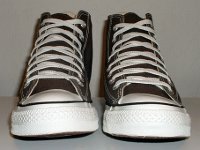 5 Core Charcoal Grey High Top Chucks Angled side view of charcoal grey high tops. 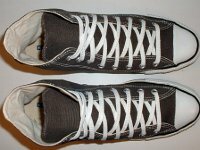 6 Core Charcoal Grey High Top Chucks Rear view of charcoal grey high tops. 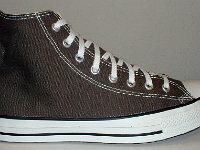 7 Core Charcoal Grey High Top Chucks Front view of charcoal grey high tops. 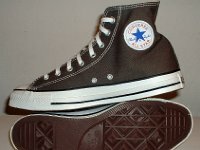 8 Core Charcoal Grey High Top Chucks Top view of charcoal grey high tops. 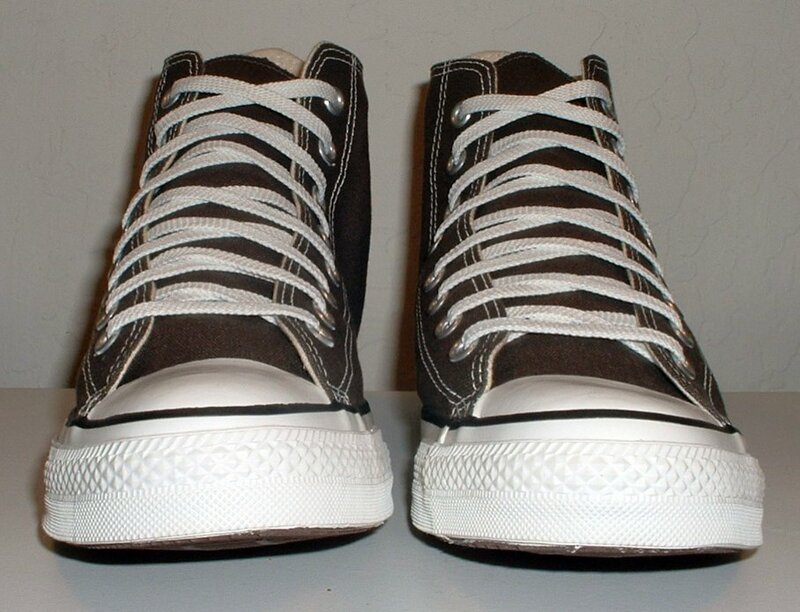 9 Core Charcoal Grey High Top Chucks Angled front view of charcoal grey high tops. 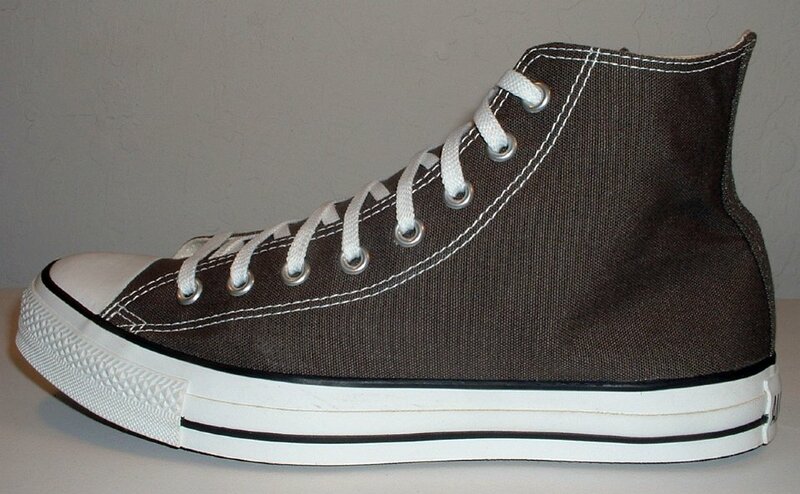 10 Core Charcoal Grey High Top Chucks Inside patch views of charcoal grey high tops. 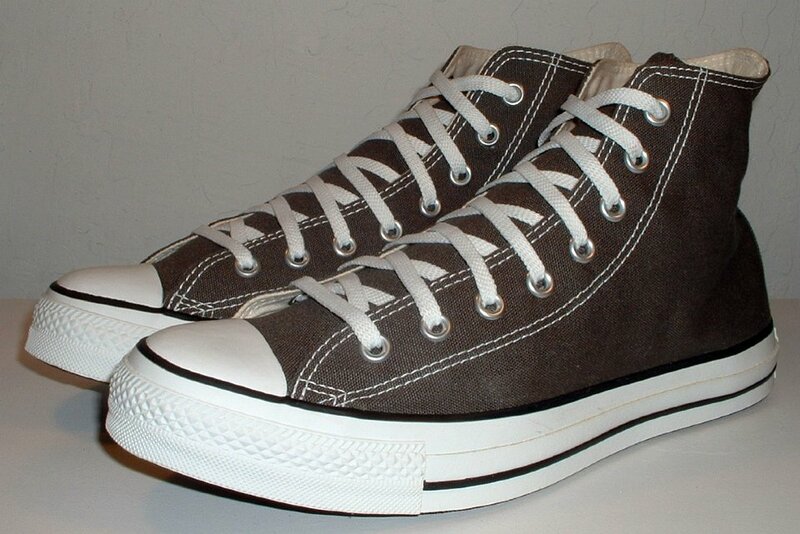 11 Core Charcoal Grey High Top Chucks Inside patch and sole views of charcoal grey high tops. 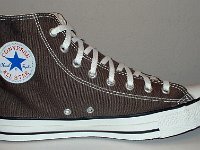 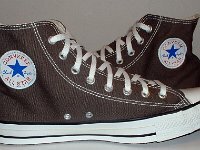 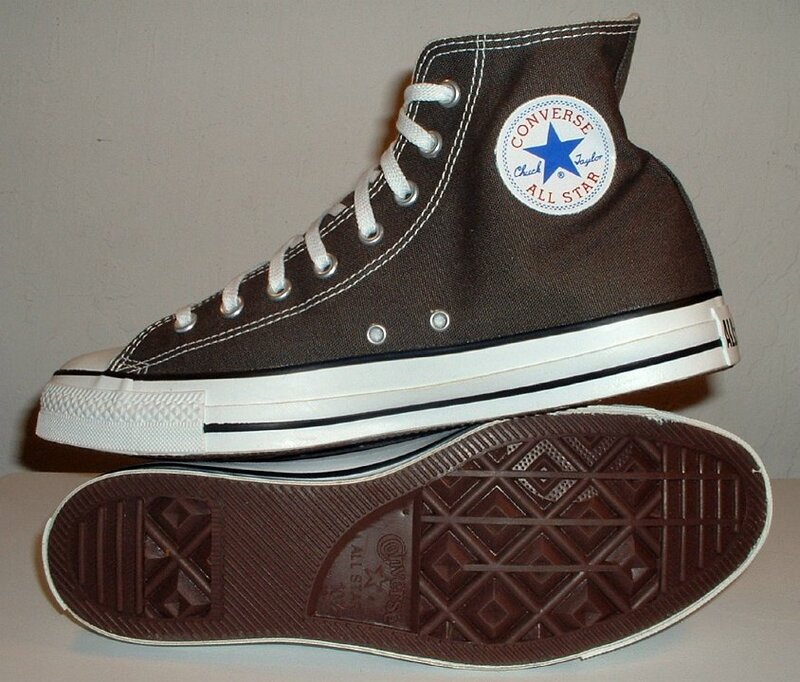 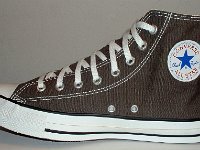 Charcoal grey chucks were first issued in the 1990s. 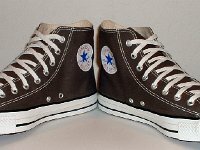 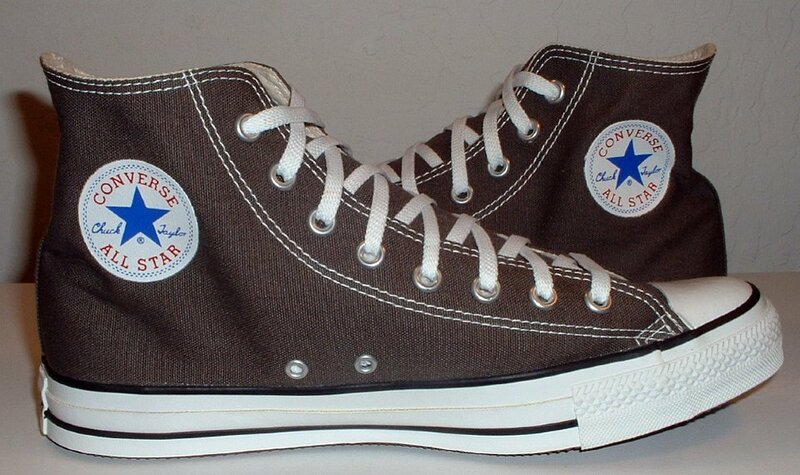 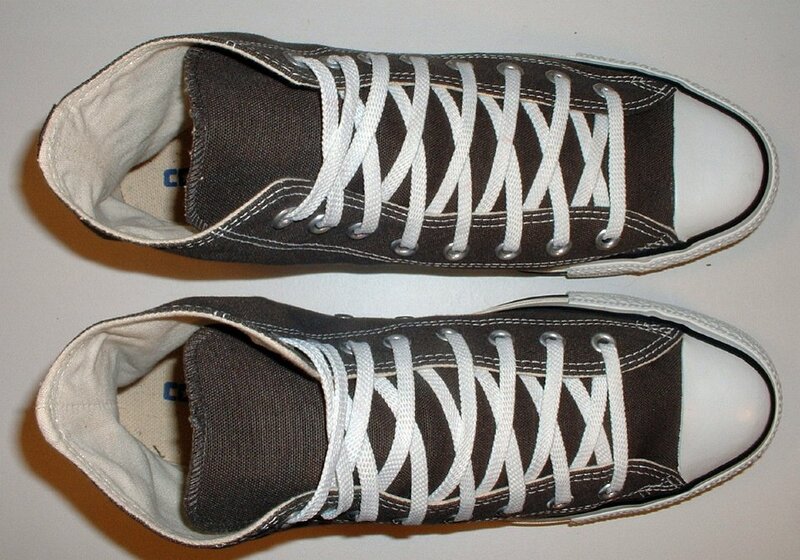 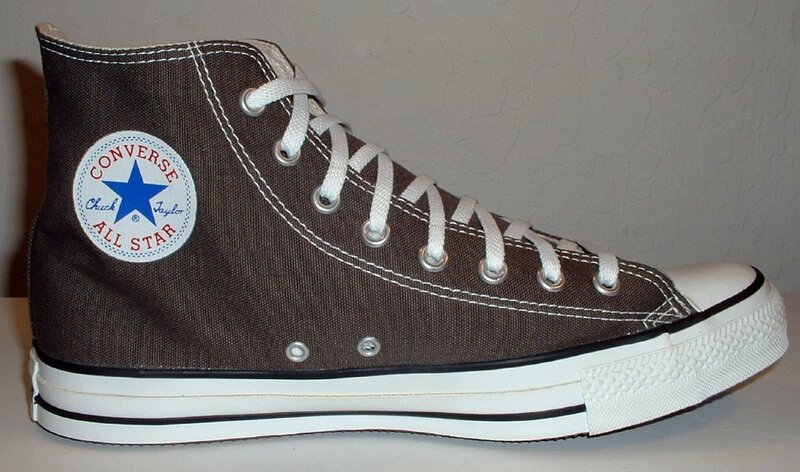 Grey chucks were first issued in the late 1960s but they were a light grey shade. 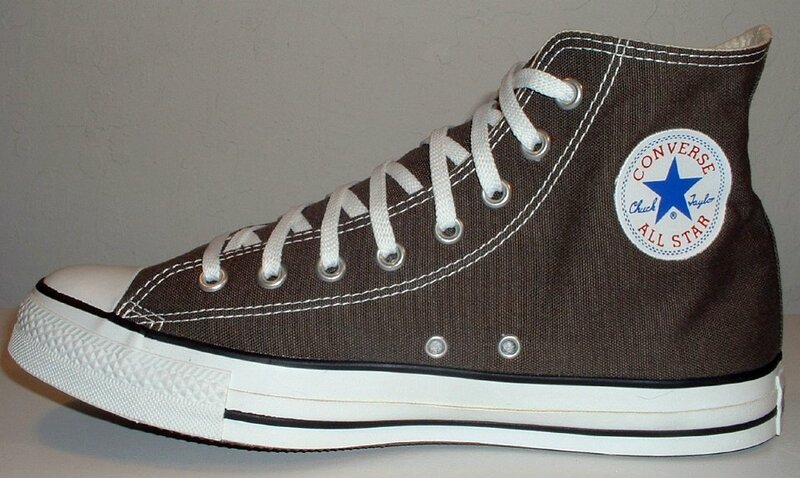 Charcoal grey became a very popular color, and achieved core status in the 200s.